More than 78-hundred fans arrived at Chukchansi Park to see the first playoff game in the stadium's history. FRESNO, Calif. (KFSN) -- More than 78-hundred fans arrived at Chukchansi Park to see the first playoff game in the stadium's history. The Fresno Grizzlies and their fans waited 17 long years for playoff baseball. They endured a dozen losing seasons since 1998 and Wednesday night they got some hope that this team not only made it to the playoffs, but showed us they might have what it takes to win it all. The Grizzlies led the Pacific Coast league in runs scored this season. On Wednesday, we saw that play out on the field against El Paso. More than 78-hundred fans arrived at Chukchansi Park to see the first playoff game in the stadium's history. Rally towels were given out to the first 5,000 fans. Grizzlies scored nine runs tonight including four in the fourth. Tyler White had an RBI to help the cause. 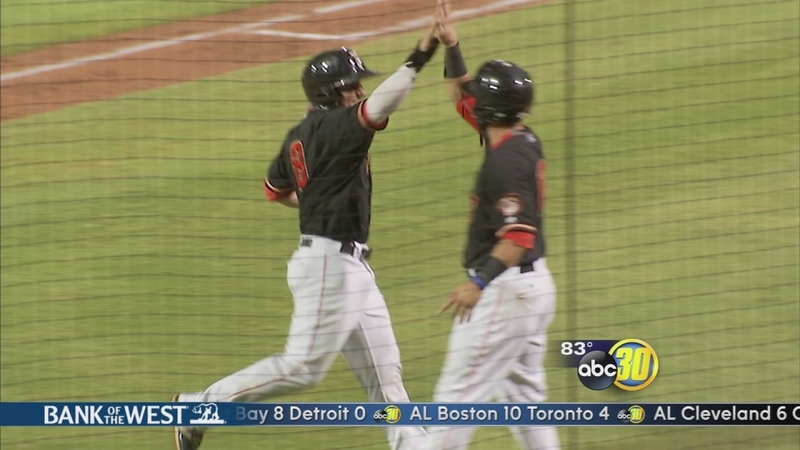 Fresno beats El Paso 9-1. 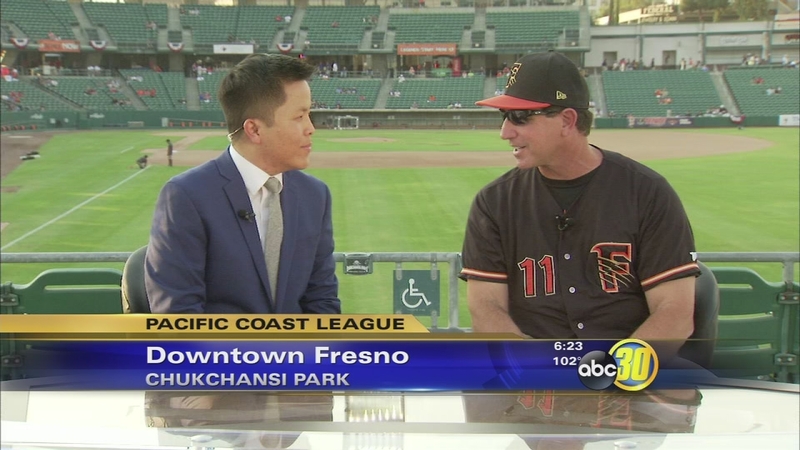 Prior to Wednesday night's game Tommy Tran talked with Tony DeFrancesco, the Fresno Grizzlies manager.